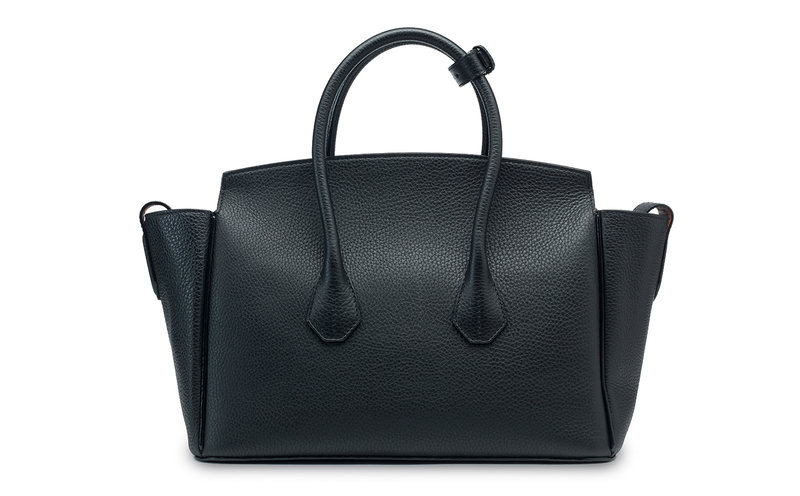 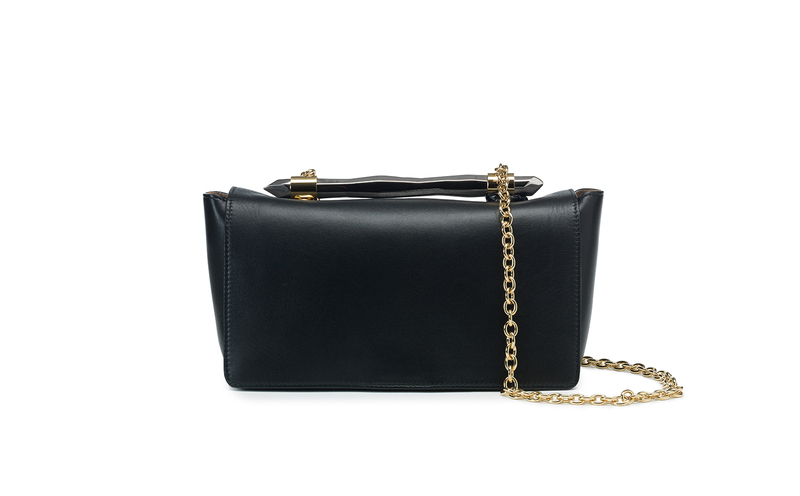 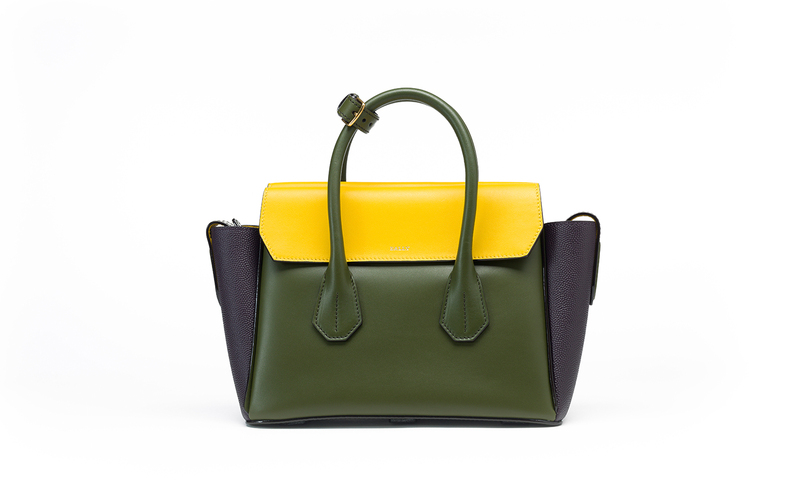 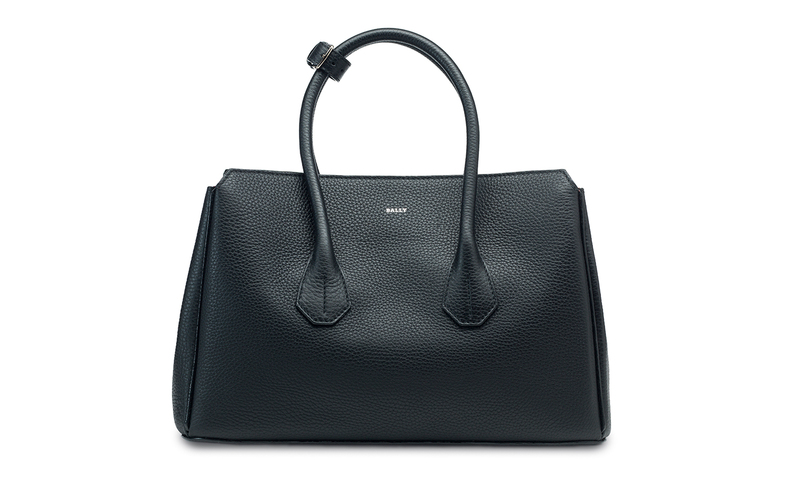 In soft, pliant black leather, this tote bag is multi-faceted in its elegance. 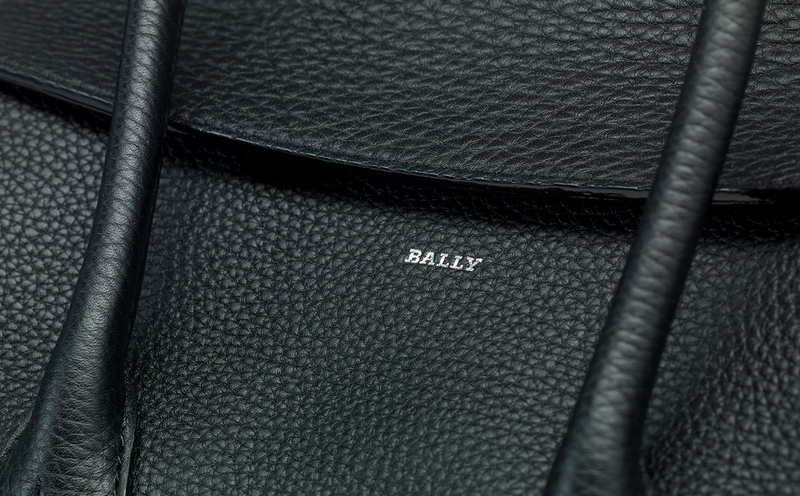 A contrasting lining spills to flow over its rounded edges, creating a fold that doubles as a subtle closure with magnetic fasteners. 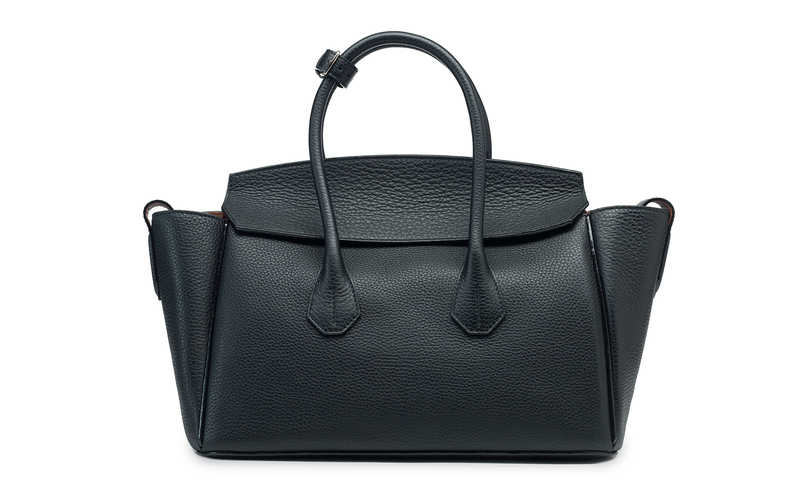 Fine-tune its luxurious volume with side straps or let its trapeze silhouette stand open, and use the additional belt to create a shoulder strap.